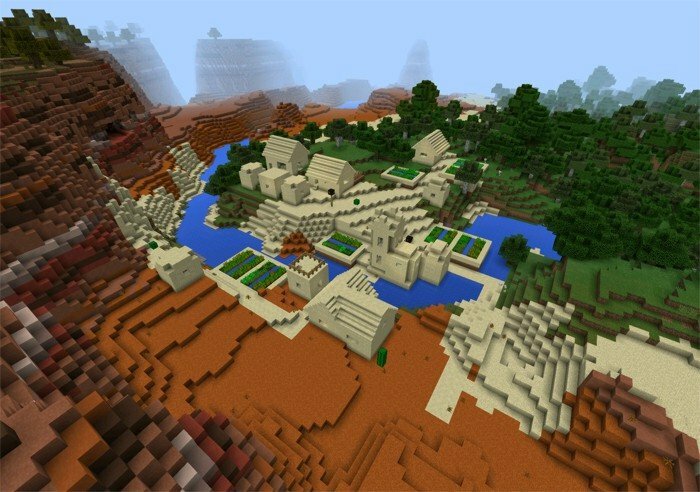 The sand village that stands right on the river and situated in three different biomes. 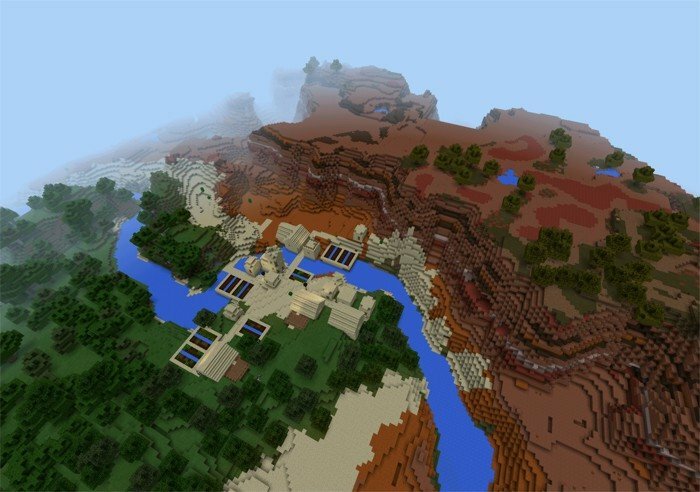 There is only small line which is actually a sand, on the one side of village there is a forest biome and a mesa biome on the other. To find the village you have to go straight ahead from the spawn point, until you see it. Village and Stronghold: Hashtag WHAT?? ?